Energy is the primary source of all life and growth in this world. In the quest for greater power human civilization has explored several alternatives in its turbulent history. Many of them have only led to further depletion of scarce fuel resources and heavy environmental pollution and degradation that have taken a heavy economic and social toll on mankind with GHG Emissions and global warming. A ray of hope is emerging with the increasing awareness on the potential of solar power as a safe and sensible choice. Topsun feels privileged to be one of the pioneers in India in the field of solar energy for over two decades through its pursuit on several fronts including research, technology, engineering, quality systems, services, capacity building and many other related areas. It has also ensured high consistent performance levels and continuous up gradation in its mission to bring improved energy solutions to its customers and the community. As we grow, we strive to make the world a better place for the coming generations who can take this legacy further. I extend a sincere invitation to all industry stake holders, associates, technology leaders, patent technology holders and related industry stalwarts to join hands for a joint mission of safe and clean energy through solar power as a social responsibility. A visionary leader who identifies the right team with talent and passion to guide them with his knowledge and wisdom to excel in performance and prepare for the future. 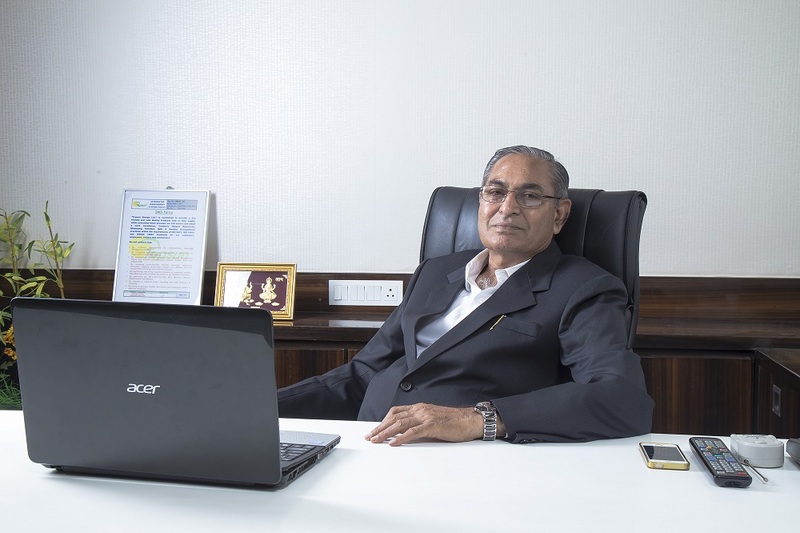 Since 1972 he has set up 10 more industries that are functioning in different fields of operations like HT/LT & booster transformers manufacturing, KVAR/MVAR capacitor manufacturing, Engineering Services, Cable manufacturing, Oil and food Industry, dairy and agro products industry, Solar BOS manufacturing and Solar Module manufacturing Industry. From 2007 as Chairman of the company he has been the strong, supportive pillar of the directors & steered them in all phases of progress. His contribution and patronage is a great asset to Topsun that has become a respected name in the Indian Solar Industry.